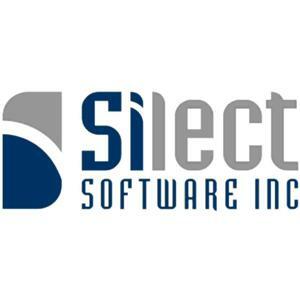 Silect Software provides products and services to enable advanced Compliance Monitoring, Reporting and Remediation as well as effective deployment and operation of Microsoft System Center. The HITRUST Compliance Pack is the result of a partnership between Silect, HITRUST and Microsoft. It delivers real-time, continuous HIPAA compliance monitoring, reporting and remediation of your IT infrastructure. With over 50 automated security controls the HITRUST Compliance Pack helps make your infrastructure more secure and less likely to be breached. For Microsoft System Center, Silect provides a family of products and services to ensure the successful deployment and on-going operation of System Center. For System Center Operations Manager (SCOM), improve the development, deployment and management of management packs (MPs) from design to production with powerful MP authoring, tuning, testing, version control, documentation and auditing. Reduce the complexity of Microsoft, 3rd party or in-house developed management packs quickly and efficiently and improve the reliability of your Operations Manager environment with MP Studio and the FREE MP Author. For System Center Configuration Manager (SCCM), CP Studio delivers the built-in expertise you need to enable an effective deployment of SCCM Settings Management (also known as DCM). CP Studio provides a rich configuration baseline authoring and testing capability and provides features to address the complete lifecycle of a baseline. This enables you to take full advantage of the power of SCCM Configuration drift and compliance reporting. Silect is also a Gold Microsoft Partner with a speciality in Application Development and delivers a range of custom development services for Microsoft Operations Management Suite (OMS), Power BI and System Center. For over 13 years we've been delivering quality software on time, on budget with no surprises.